Please note amendment to Contract for Sale to include amendment to Special Condition 3 (VAT Clause) and removal of Special Condition 28 (No Recourse). Internally arranged to provide 15 self contained apartments. Extending to approximately 441 sq. m (4,747 sq. ft). 9 Units subject to a tenancy at a current rent of €73,428 per annum. Vacant possession of units 1, 3. 4, 6, 7 & 11. Rathmines is a sought after south Dublin suburb. The subject property is located along Grosvenor Road approximately 300m from Rathmines Village. Local amenities include a host of shops, bars, restaurants and schools with further amenities including the Swan Shopping Centre, Harolds Cross Greyhound Stadium, St. James Hospital, RDS Arena and Trinity College. Transport links in the area are well serviced with the R114 Rathmines Road, providing access to Dublin City Centre to the north, together with several bus routes. LUAS Green Line stops are available to the east at Cowper and Beechwood. Internally arranged to provide 15 self contained apartments. Three storey beneath a pitched roof. We have been informed that the property extends to approximately 441 sq. m (4,747 sq. ft). 15 x One bedroom accommodation. 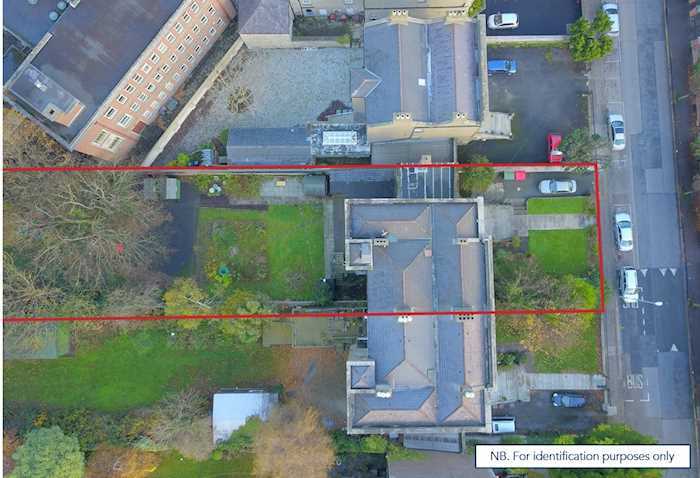 The property is subject to a tenancy at a current rent of €73,428 per annum. We are informed by the vendor that the property is BER exempt.